One of this year's Rhodes University Honorary Doctorate recipients is poet, activist, and David Philip author, Dr Sindiwe Magona. 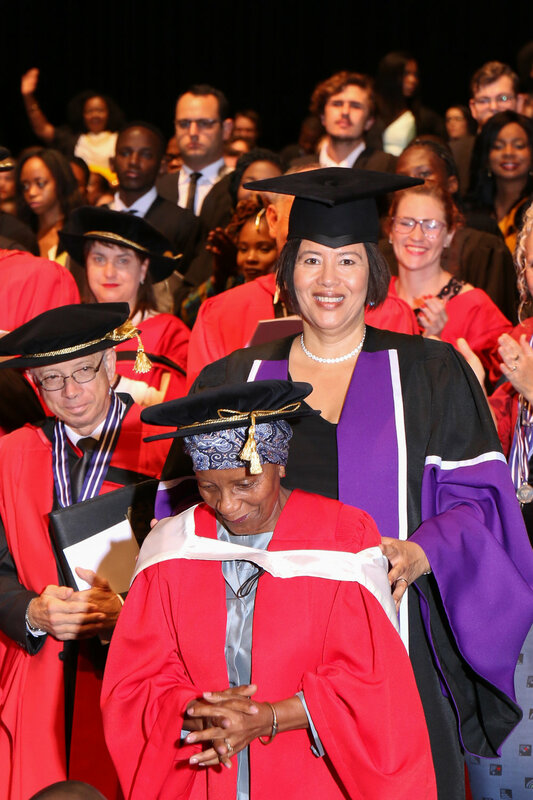 One of South Africa's literary stalwarts, Magona, was bestowed with a Doctor of Letters (DLitt) during the April 2018 graduation session at the Grahamstown university. Magona has written over 120 children's books in her lifetime and was awarded the Order of Ikhamanga in 2011. Magona, who worked for the United Nations for 20 years, is currently a Writer-in-Residence at the University of the Western Cape where she continues her work as a language ambassador and mentor for young writers in Southern Africa. The other recipients of honorary doctorates alongside Magona were Professor Peter Mtuze, Dr Andrew Mlangeni, Professor Vishnu Padayachee, Ms Yvonne Chaka Chaka, and Judge Dikgang Moseneke. Of the occasion, Dr Sizwe Mabizela, Vice-Chancellor for Rhodes University, said, "It is a privilege for us as the Rhodes University community to honour such outstanding citizens for their many and significant contributions. We warmly congratulate them for their notable achievements. Not have they made it their life's work to enrich the lives of others, they are also excellent role models to us all."